Happy New Year from all of us chickens at Hi Ho Silver! I wanted to take a minute to tell you about our fabulous monthly giveaways we put up on Facebook! If you don't already follow us on Facebook, I suggest you do. 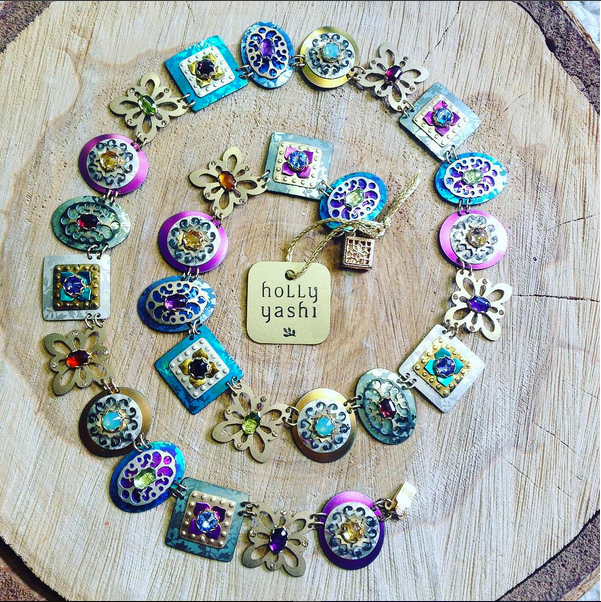 As well as posting like every single piece of jewellery we have in stock, and funny memes to give you your smile back on Monday mornings, we also host monthly giveaways of real life jewellery! 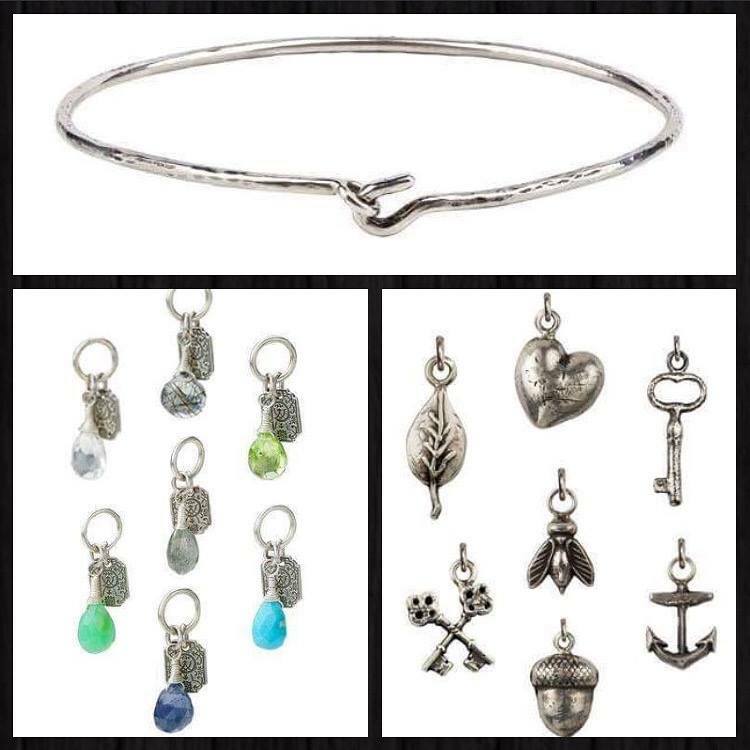 We love Pyrrha so much and love these new charm bangles so in November we decided to give away this bangle with the winner's choice of semi-precious stone charm and silver charm. 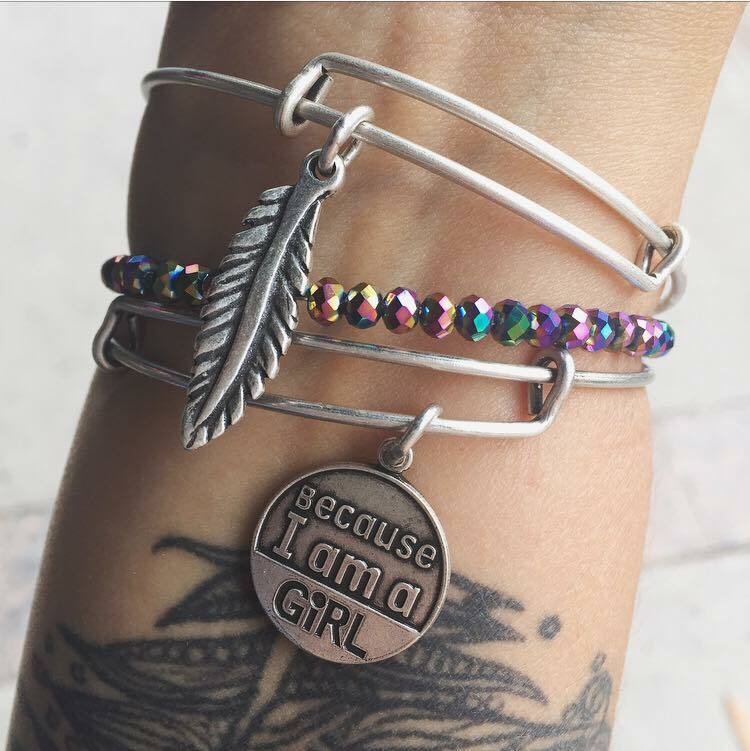 We know you guys love Alex and Ani and Jessie loves October so we went a little A+A happy and gave these three bangles away. And that's just the last three months! Follow the link here to go to our Facebook page and follow away! We hope you have an amazing new year, and thank you again for making 2016 so wonderful for us.